There is something so special about receiving a homemade gift. I think mothers everywhere will agree. But even receiving a handcrafted gift from a friend has more meaning than receiving a store bought gift. I think this is because it’s so thoughtful. They actually took the time to plan out how to make this gift something that you would love and cherish. They made it with you in mind. These cute bracelets are so easy to make and so much to wear! Personalize it to say something only you and your bestie would get or a word that describes them. They’ll love wearing it and others will want to be wearing it. These adorable earrings are perfect for anyone and everyone. Customize the fabric to fit your friend’s personality. If they’re more vintage, find a pattern that has that motif. If they’re into bright, neon colors, find a fabric that is bold just like them! It’s the perfect jewelry to make for all of your friends because it’s so simple to make. This handcrafted necklace is perfect to do WITH your girls! Have a Galentine’s Day celebration where you all learn how to make handmade jewelry and teach them how to make this simple beauty. Elsie Larson from A Beautiful Mess can kick off the celebration by providing the instructions on how to create this simple beaded necklace. These stylish earrings are perfect for your friend that loves to wear boho chic. They’re simple, yet fashionable. 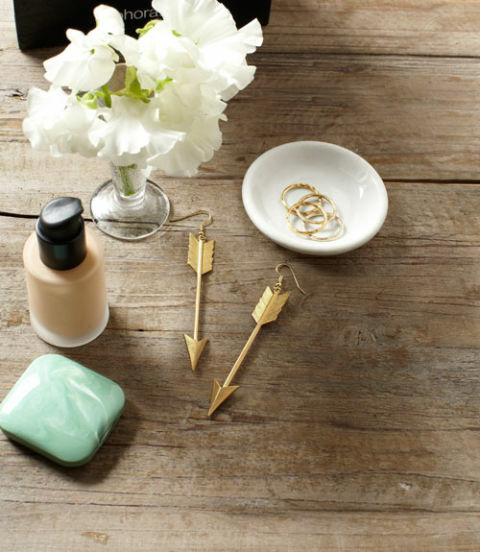 Alison Gootee from Studio D tells you what you need to make these chic brass arrow earrings. If you like the idea of personalizing your handcrafted jewelry for your best friend, then you’re doing to love these bracelets and necklaces. These pieces are a little more challenging to create because they require more equipment than the others did, but once you make one you’ll be dying to make another! Make a friendship bracelet by creating a stamped initial bracelet or produce an engraved necklace with a hand-stamped necklace. While this isn’t an actual jewelry piece, I do think it’s the sweetest gift you can make because you’d be thinking of your friend’s interest if you made it. This would be perfect if you had a friend that’s a photographer or who’s interested in becoming a photographer. This gift says, “I support your passion”. 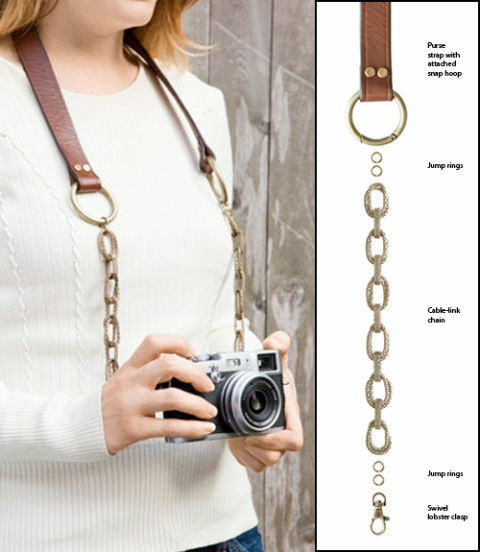 Learn how to make the leather and chain link camera strap here. This piece is perfect for that friend that isn’t afraid to make a statement. She is bold and beautiful. This necklace can be spun different ways and can be created for your more understated friends as well – just use more neutral colored rope. To learn how to braid this necklace, click here. This simply adorable bracelet is perfect your girly girl friend. It’s nostalgic of the little girl with the bows in her hair, but mature enough for a woman with a degree to wear. 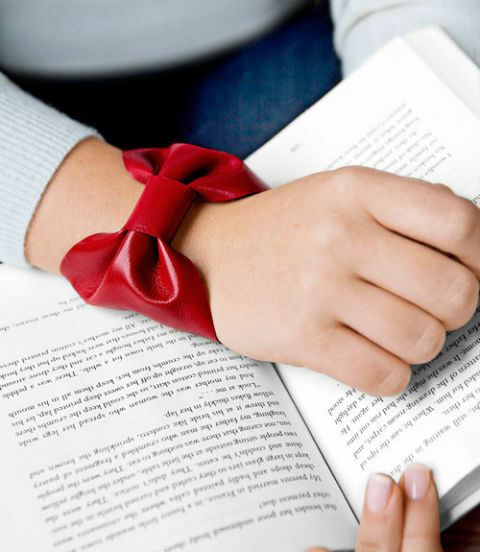 Do you have that one friend that always has scrunchies around their wrist? Help them get into 2016 with these fashionable replacements. I know they don’t tie your hair back, but they’re so much cuter than having a hair tie cutting the circulation from their wrists! These easy skinny leather bracelets are very versatile as you can design it three different ways with a multitude of color options. These woodland necklaces are perfect for the Fall or for a friend who just loves nature! These stylish pieces are simple, yet extremely fashion forward. 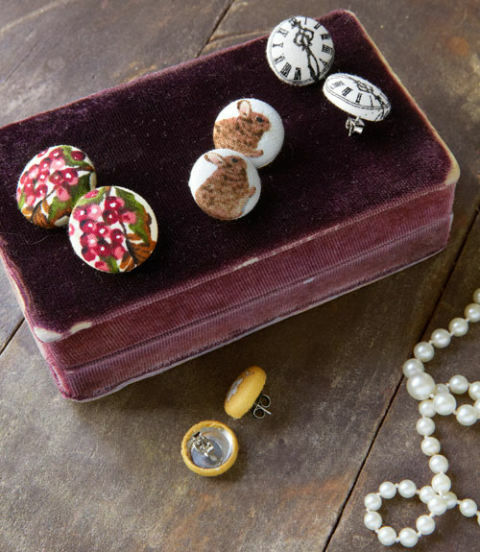 These 10 ideas are a great start to learn how to make handmade jewelry that fits your friends’ personalities. Whatever design you choose, remember to think of your friends’ personality and create something that embodies them. I guarantee that they will love whatever you make them because they’ll be able to tell that you put some thought into the finished piece. I bet others will be asking for you to create pieces for them, as well, when they see your friends rocking your creations.